What’s the Difference Between Black Magic and White Magic? Is Wicca Connected to Satanism? What is Known of the History of Wicca? In most traditions, Yule is the Sabbat that begins the Wiccan Year. This is the Winter Solstice—the shortest day and longest night we will experience in the Northern Hemisphere. Though it’s typically celebrated on December 21st, the exact moment of the Solstice varies from year to year due to a slight misalignment between the Gregorian calendar and the actual rate of the Earth’s rotation around the Sun. It also occurs at differing local times, so that depending on where you live, it may fall the day before or the day after the date listed on any given calendar. For this reason, a date range of December 20-23 is often cited in sources on the Wheel of the Year. Yule, a fire festival, is a time of celebrating the return of the light. From this point forward, the days will gradually grow longer again, until we reach the height of the Sun’s power at the Summer Solstice. Although we will still see comparatively little of the the Sun’s light for several more weeks, this Sabbat reminds us to have patience—the waning half of the year is over, and warmth, growth, and light will reign again! The significance of the Winter Solstice has been recognized for thousands of years, ever since human beings first observed the ever-changing patterns of sunrise and sunset over the course of the seasons. The ancient Romans, Greeks, and Persians all held festivals at this time, many of which celebrated the birth of one or more gods. Of course, the leaders of the early Christian church decided that this was a good time to celebrate the birth of Jesus as well, since one of their strategies for winning converts was to align their holidays with already-existing pagan festivals. The name “Yule” actually comes from the pre-Christian festivities of Germanic tribes, and is believed to have been handed down to us from the ancient Norse in particular. In the Wiccan belief system, the God is reborn at Yule, having died at the previous Sabbat (Samhain) at the end of October. The weak quality of sunlight during these still-short days is symbolized by the God in his infancy, just born and needing sustenance before he can come back into his full power. The Goddess, who has been in her Crone aspect these past few months, is now once again in her Mother aspect, having just given birth to the God. She represents the Earth, remaining still and silent for awhile yet as she rests from her labor. This is a celebration of the renewal of life, but compared to other Sabbats it is a relatively quiet, indoor holiday, as people gather within the warm shelters of their homes to be merry and give thanks. As a Yule ritual, many Wiccans decorate their altars with evergreen branches, such as cedar, pine, hemlock and spruce, as well as bright sprigs of holly, pinecones, and other festive winter flora. Candles are paramount to this Sabbat, of course, with Yule traditions emphasizing the colors red, green, white, and gold. Images of the Sun are also appropriate. Those lucky enough to have a fireplace can burn a sacred Yule log, but you don’t need an actual hearth to brighten up your home with candles galore! Interestingly, many traditions which are generally thought of as belonging to Christmas—including the Yule log, a decorated tree, wreaths, and even caroling—are actually rooted in pre-Christian pagan traditions. So it’s quite likely that you’ve already been celebrating Yule for years, with or without your knowledge! 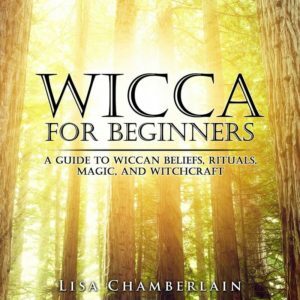 Wicca Living is a participant in the Amazon Services LLC Associates Program, an affiliate advertising program designed to provide a means for sites to earn advertising fees by advertising and linking to Amazon.com. 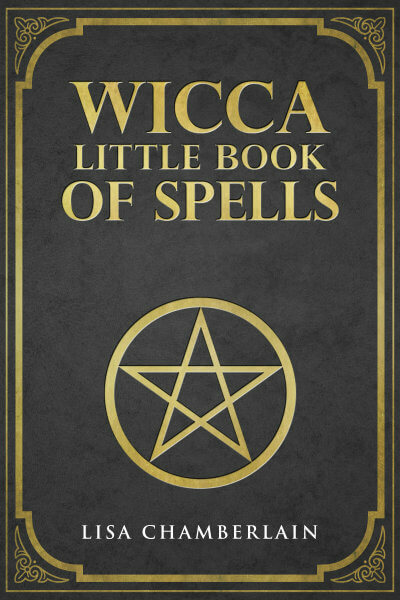 Copyright 2019 — Wicca Living.